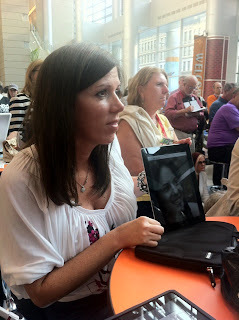 If you read my previous blogpost, you know I was unable to attend ISTE11 but I was able to follow along a little bit. When I say, "a little bit" that is only because of MY time schedule, and not for lack of available options. By following the hashtag #ISTE11 on Twitter, I was able to keep up with some of the breakout sessions and links to the posted resources. I'm still following the stream, and I recommend you do too, because every day new videos and presentations are going online; and this is my main lifeline to this knowledge. Today for example, I found out that archive for Joyce Valenza's Learning Tools Family Feud is now online. Check it out here. It was also via Twitter that I discovered Dr. Medina's keynote was online. By the way, Twitter is not just for consumption. Don't forget to share the Twitter Love and pass on the great information you learn. Also, not to miss is Chris Lehmann's closing keynote. I was also following the Twitter streams of many folks I've come to call friends over the last few years. These were not people who automatically became friends on the first "follow." These were relationships that were built just like we build them in real life. By talking about nonsense and by talking about topics of which we agree, disagree and that we are passionate. These are people who I sought out AND/OR who reached out to me. Mark Wagner "saves" a chair for me. Some of these people, who I now call friends, I've met face-to-face and many I've not yet had the pleasure; but all of whom I feel comfortable reaching out to via Tweets, email or even a phone call if I want to ask a question, need assistance or a favor, or just want to chat about something. I've done this many times and many of these folks have reached out to me many times as well. On request, I've not hesitated to share their resource, engage in a live-blogging event, promote their latest venture, guest-blog on their sites, contribute financially, mentor a student in their class, write a letter of recommendation, judge a contest in their school or district, present at their conference, and more. I KNOW my experience is not unique. 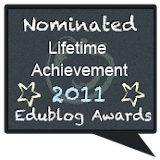 So, I am a little (a lot actually) offended when I hear and read about folks who feel there is a clique and exclusionary mentality of the EduBlogger community. What you are probably seeing at a place like the Bloggers' Cafe, is folks hugging. They are hanging around with their laptops, talking. They look like they know each other. They are sharing chips and kicking off their shoes and playing guitars. Some might have been napping if I were there, but rumor has it that nobody picked up that role this year - so disappointed! Some do their best to bring their friends from home along for the experience ~ Thank you to all my friends for reaching out to me via Tweets and for helping me feel better about not being there! So, does it look intimidating to someone who doesn't already know someone else there? Yes, probably. Who owns this problem though? Can you fault the folks who have established relationships and are excited to see each other and can finally have conversations that are over 140 characters at a clip? Or do you fault the folks who want to be in those conversations? There is no blame here because there is no problem of exclusion. If you want to be a part of this community, and I recommend you do because it's just awesome, I say you need to "pay your dues." Just as you would in any relationship, you need to say, "Hello" and introduce yourself. You then need to cultivate a relationship by doing what people do; communicate in an ongoing and thoughtful manner. There's no secret password. There's no test. There's no IQ requirement (thank goodness, for I'd be out immediately), there's no assumption of knowledge or pedagogical agreement. Having said that, I will say that I do not know everyone but I do know that we are as different as are all people. Some of us are very outgoing and some are very shy. Some are very friendly and some appear to be less friendly and take a little while to warm up. Some will engage you in an argument almost immediately and some just want to sing with you. Some you will like very much and some you will not. The EduBlogger community is a real community of real people who just want to solve the problems of the edu-world, one student at a time. If you want to do that too, then stop whining about it and say, "Hello" next time instead of walking away. Lee, we missed you this year, as I've said below. I think you're on the right track with this and a briefly, and not as well as you, wrote about this while sitting in the airport getting ready to leave ISTE. I think what people are seeing as cliques are actually friendships that have been developed over the years. More than ever this year I just walked up to folks I've never met and introduced myself. Didn't do it as much in Denver last year and regretted it. Hanging out in the corner is easier but it's those times when we choose to jump in that can be the most meaningful. I also love it when folks do the same to me. I always appreciate so much those who introduce themselves and get to know them face to face. I tweeted this a bit earlier but I'll say it again, I don't like to hear people say they don't have an important voice. We are in a time when we need to stop worrying who's who. We all matter. I felt nervous upon first seeing my twitter peeps at my first ISTE years ago, but if you get up enough courage to say hello to one it snowballs. I'm living proof! By the next year in D.C. I think I scared you half to death by shouting Lee when I saw you. And then I remembered, "Oops, we don't really know each other"...but I went right to, "Well, now we DO!" This was the first ISTE I have missed since San Antonio, TX but I am looking forward to San Diego and thank everyone in my PLN for tweeting, facebooking, messaging and emailing me to share. Once again, an amazing conference. I found your blog post very interesting. Especially because that is how I felt when I was a newbie. I felt that the Blogger's Cafe was like a "good old boys/girls network". Little did I know, many of the people I was afraid to approach have been the people I count on seeing each year. I equate it to going to summer camp for the first time along with campers who have been going many years. You worry that you will be left out and end up depressed when it is time to go home. I would hope that everyone who stopped by the cafe felt that they had a place to relax and get to know others. If not, come see us next year in San Diego! Very interesting post. I used to feel like an "outsider". 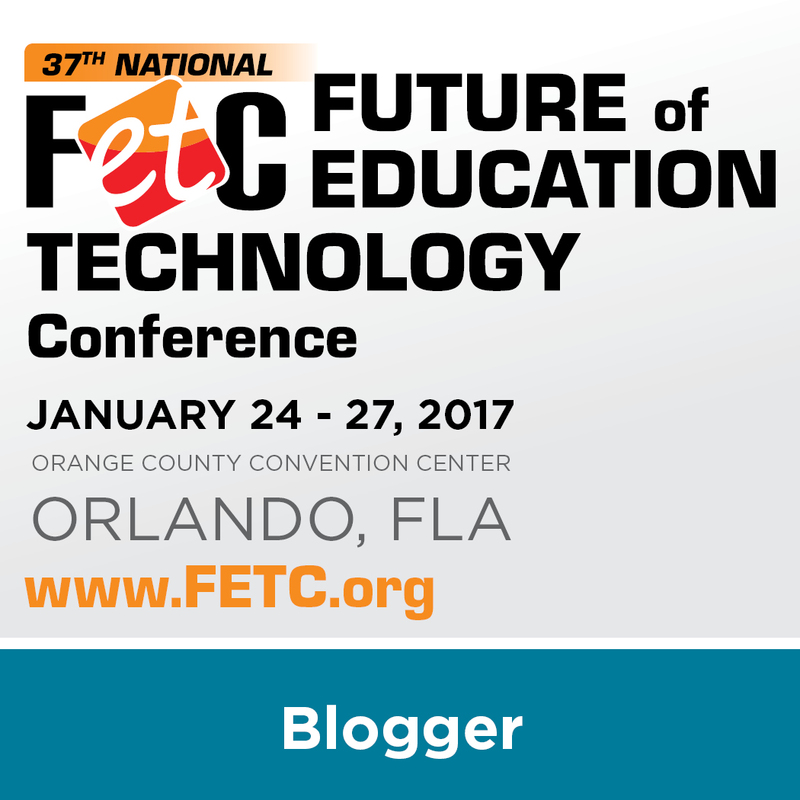 Not just to the EduBlogger community, but to the EdTech community as a whole - until social media. Facebook, Twitter, LinkedIn and others have made me feel safe and less intimidated about talking to people, because I have already formed that "anonymous" relationship. 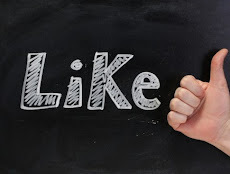 For me social media has not just broken down the four walls of my building, but for better or worse has broken down some of my personal barriers as well. Thanks for the reminder of how empowering social media can be! Chad, your post is right on. Some people are watching from the "outside" and making assumptions (rightly or wrongly) about relationships that have been developed and are being somewhat cemented in person. Thanks for your comment. 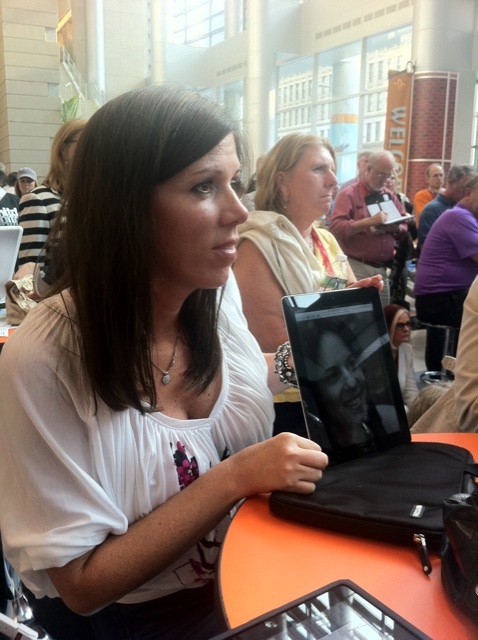 I think we can all remember being new to ISTE or NECC. It's important to be respectful of people's personal space, but at the same time it's ok to be social and join in a conversation in a public forum such as this. Your summer camp analogy is a good one. Sometimes these experiences drudge up old childhood experiences of feeling left out. In cases where we never resolved them or left unfinished business, I think these adult encounters can be more painful for some than others. Thanks for your comments and for visiting my blog. Very well stated. This mirrors my experience within this community as well. I can't think of anyone in this community who doesn't openly welcome newcomers who are interested in contributing to the ongoing conversations, problem-solving, learning, and sharing with one another. As a newbie it was a bit overwhelming to me the first morning, but I am glad I went up to people to say hi or hung out on the couch and joined in to conversations. It was also great to meet many people in person that I have been following or conversing with on twitter. The whole weekend inspired me to finally start my own EduBlog. I think the Bloggers' Cafe can be intimidating to people who are new. The Newbie Cafe was supposed to serve as a stepping stone as people got acclimated to the conference environment. I hope next year more of the crew that frequents the Bloggers' Cafe will be willing to move their conversation to the Newbie Lounge for just a little while. To some the Bloggers' Cafe seems to be filled with cliques. I think you nailed it as did others with their comments. So many of us have known each other for so long that we treasure the time we get to see each other face-to-face. I was torn this year between spending time with my friends and making sure I met conference Newbies. It is very hard to talk to everyone. I barely had any conversations that were deep and meaningful because I felt all I was doing was saying hello and asking people about their conference experience. I had a wonderful time, but I did leave with some regrets. People need to remember who labels certain edubloggers as rock stars. It isn't the bloggers, it is the community. 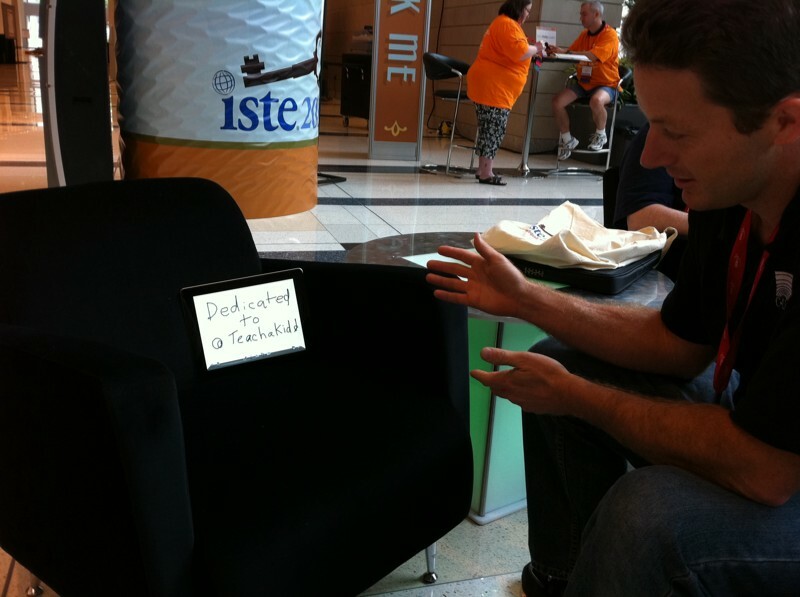 At the ISTE Tweetup on Sunday afternoon I heard someone walk up and exclaim, "Oh my God that is ____ ______!" 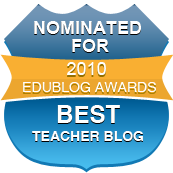 Now I love this particular educator and edublogger. He is fantastic, but I know he is uncomfortable with the status that people have given him. Until people stop treating bloggers like rock stars there will always be a perceived wall that separates them from the crowd. One of the things that I do believe helped bring the conference Newbies and the veterans together was the flash mob. Like it or not it provided an opportunity for people to reach out to one another. A huge shoutout to Michelle Baldwin and Tim Gwynn for organizing that event!